Come ready to share not just your elevator pitch, but also your business questions and needs. Around the table, you’ll find peers with solutions and ideas, as well as the need for your knowledge and expertise in return. Are you hiring? Looking for a new source of business leads? Need referrals for accountants, headhunters or lawyers? Perhaps you are interested in events leveraging Thailand’s ASEAN chairmanship, or searching for opportunities to speak on your area of expertise. 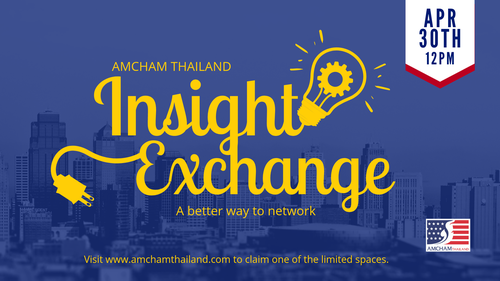 Come explore these topics and more and strengthen your relationships within the Bangkok business community.